The best way to hard boil eggs is to pressure cook them in an Instant Pot! The shells will come off easily and then you can make fancy Lazy Devils! Don’t be fooled by their looks: these glam “Lazy Devils” are a cinch to throw together on the fly—especially if you hard “boil” your eggs in an Instant Pot, one of my all-time favorite electric appliances. Hard boiled eggs are the epitome of emergency protein. I always try to stock a bunch in my fridge so I can pop one in my mouth if I’m too busy to cook a proper meal. I used to cook them on the stovetop and I have a detailed post on how to cook perfect hard boiled eggs the old fashioned way. 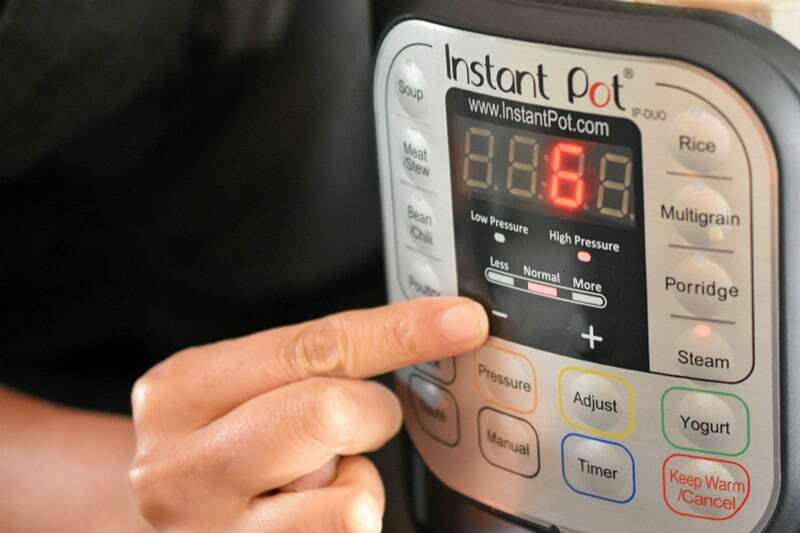 Lately, I’ve been cooking them in my Instant Pot, because it’s effortless and fool-proof. In about 20 minutes from start to finish, I can get perfectly peelable hard cooked eggs. I’m going to show you the way I like ’em cooked, but if you have a stovetop pressure cooker or are super-particular about the exact doneness of your hard cooked eggs, you can follow these detailed instructions by my pal, Laura Pazzaglia. If you haven’t yet noticed my use of quotation marks around the word “boiled” in the title of this post, please note that these eggs are actually steamed in a pressure cooker and not boiled—but my instructions will yield hard cooked eggs all the same. 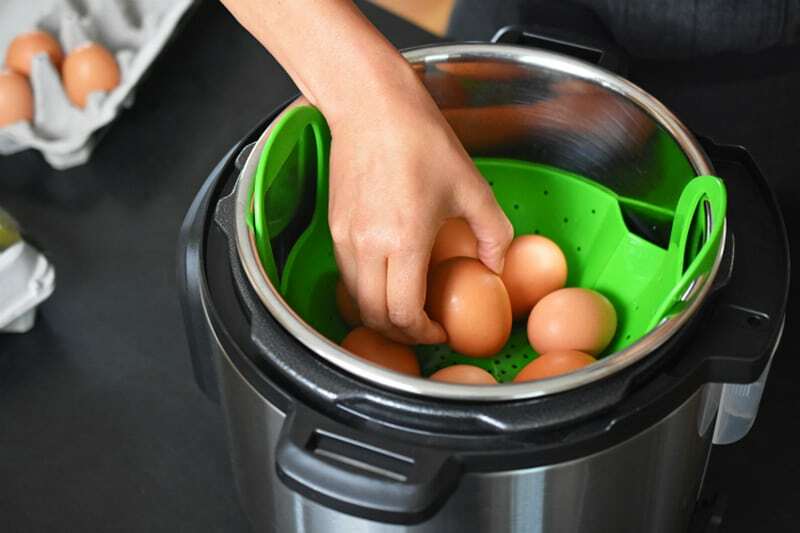 With this method, I’ve found that a silicone steamer is a game changer ’cause it keeps the eggs from cracking during the cooking process and you won’t burn your hands when you take the eggs out of the Instant Pot! Then, once you’ve got easy-to-peel hard cooked eggs in the fridge, you can whip together a batch of Lazy Devils. 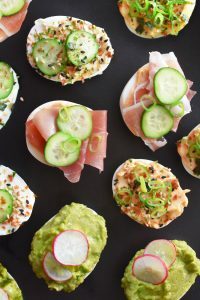 I introduced these dainty appetizers in our first cookbook, Nom Nom Paleo: Food For Humans, and they’re my secret weapon for potlucks, unexpected company, or weekday snacks. I’ve listed some of my favorite variations below, but feel free to let your tastes dictate your toppings! Ready to stock your fridge with a bunch of hard cooked eggs and Lazy Devils? 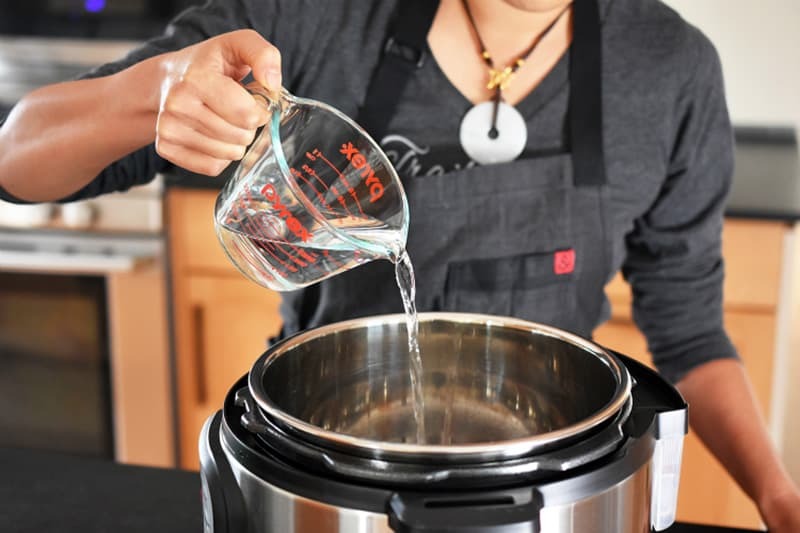 Pour 1 cup of water in the stainless steel insert of your Instant Pot. …and carefully arrange your eggs straight from the fridge in a single layer on top. Lock the lid, and make sure the dial on top is pointed towards the sealed position. 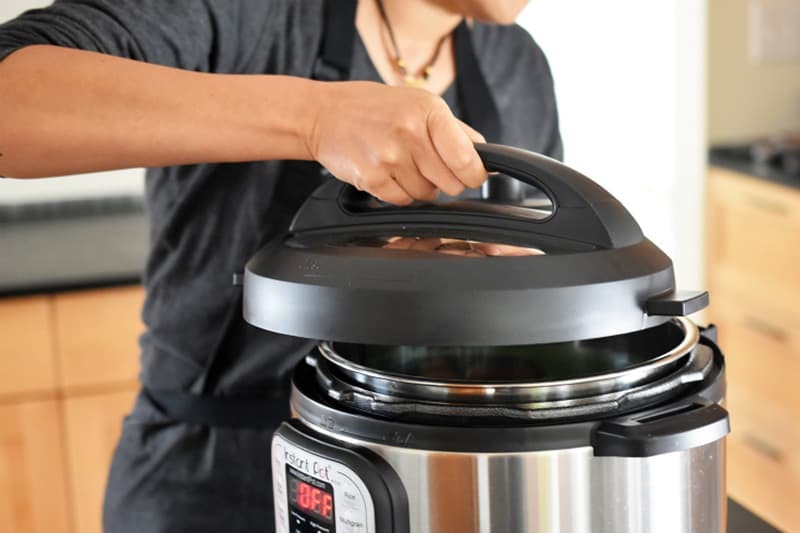 Set the pressure cooker to cook under high pressure for 6 minutes. 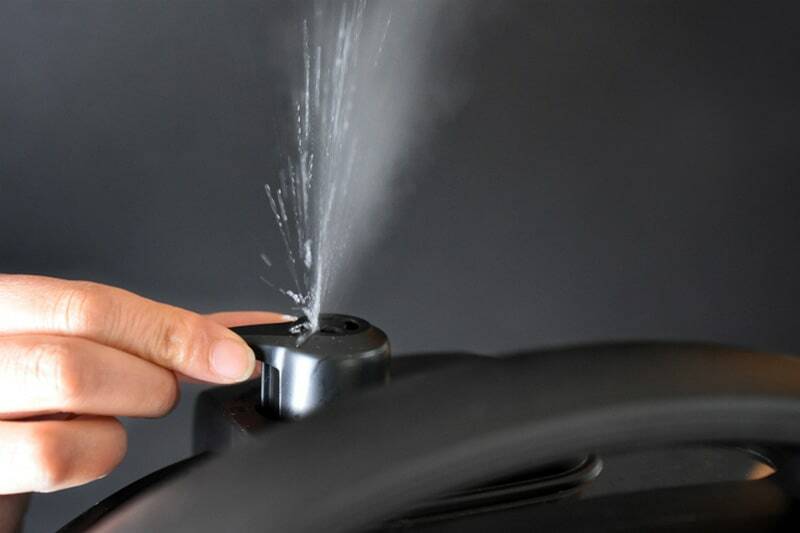 In my experience, it takes about 10 minutes to reach high pressure with cold water from the tap, and an additional 6 minutes to finish cooking. 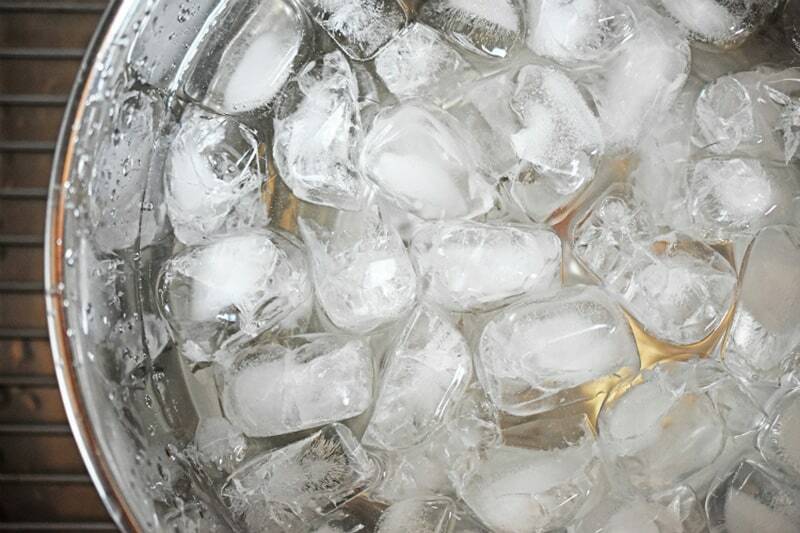 In the meantime, you can fill a big mixing bowl with water and ice cubes. 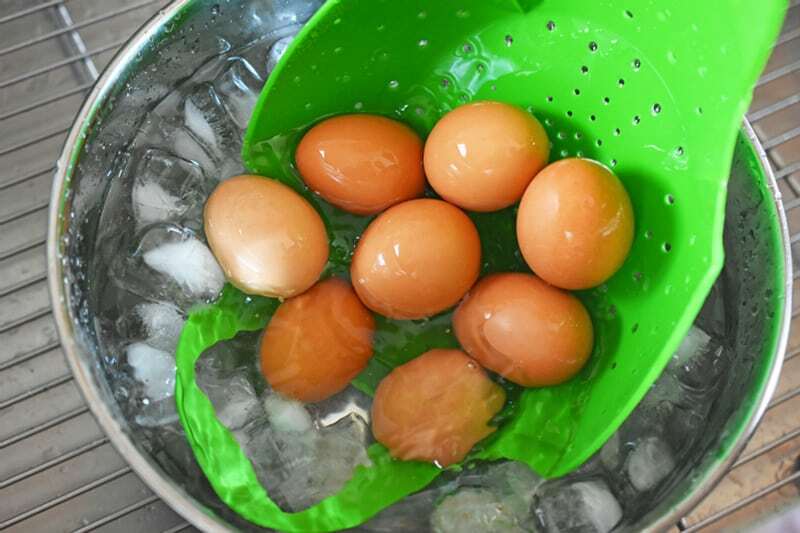 Carefully grab the handles of the silicone steamer and deposit the eggs into the ice bath. I chill them in the bath for about 5 minutes, but it’s okay to soak ’em for longer. 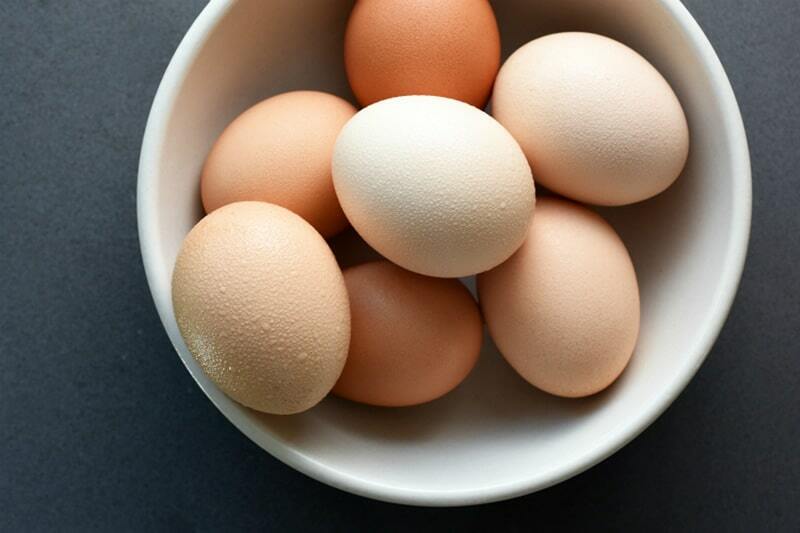 The shells should come off pretty easily, even with farm-fresh pasture-raised eggs. 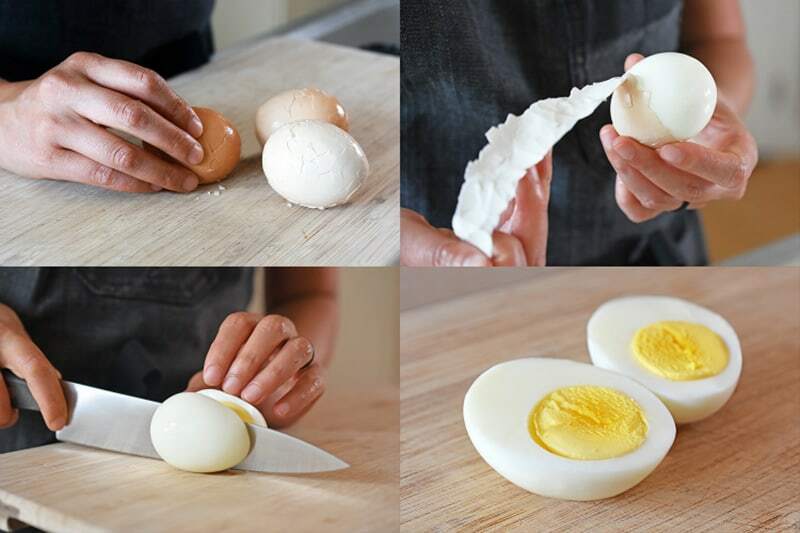 You can store the cooked eggs in the shell for about a week. See? Pretty yellow yolks, with no sulfurous stink or gray-green rings around the edges! Once you have these eggs in the fridge, you can do all sorts of cool stuff with them. I like to make what I coined “Lazy Devils” in our first cookbook, Nom Nom Paleo: Food For Humans. 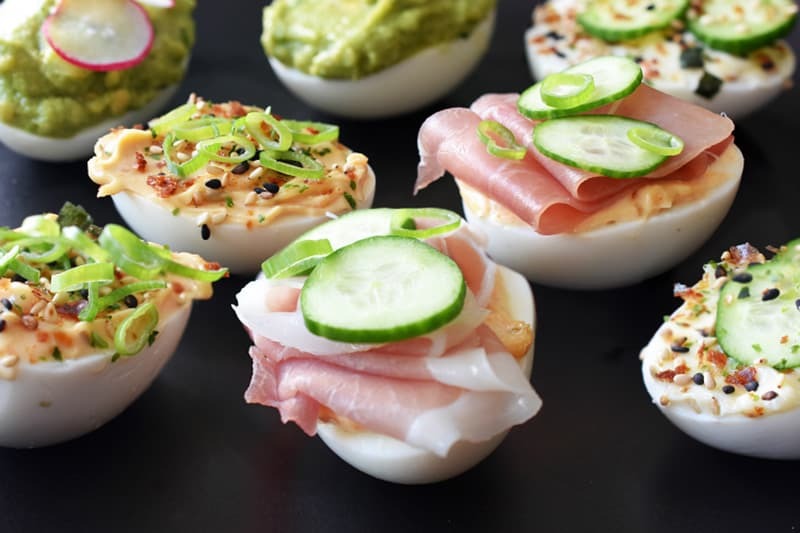 They’re kinda like deviled eggs, but you don’t need any skills or time to make them. 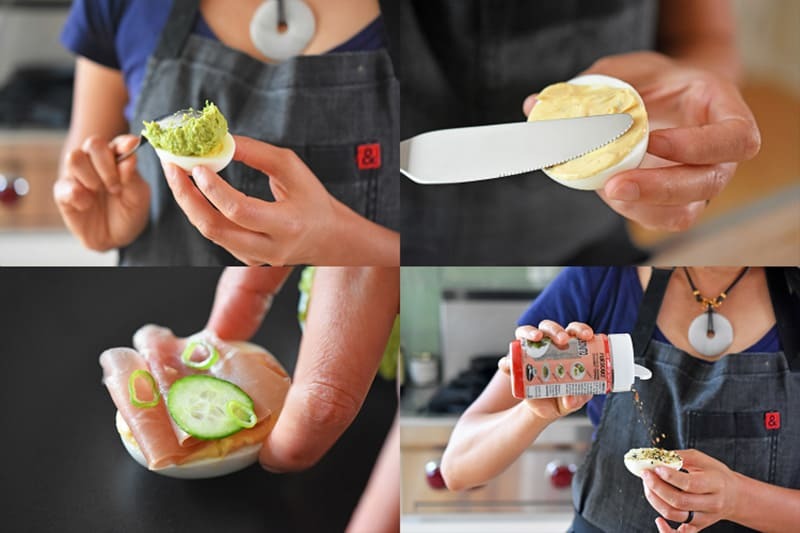 Simply cut the hard cooked eggs in half, slather on your favorite spread (e.g., mayo, guacamole, tonnato sauce, etc.) and adorn with your favorite toppings. 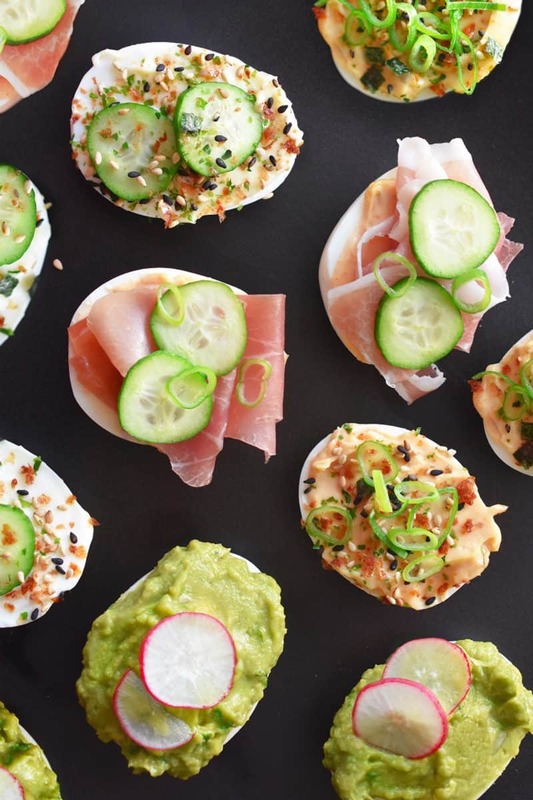 Now go make yourself some eggstraordinary nibbles! Don’t be fooled by their looks: these glam “Lazy Devils” are a cinch to throw together on the fly—especially if you hard “boil” your eggs in an Instant Pot! The shells come off super easily! Any spread + your favorite topping! (Check out our first cookbook for more ideas! 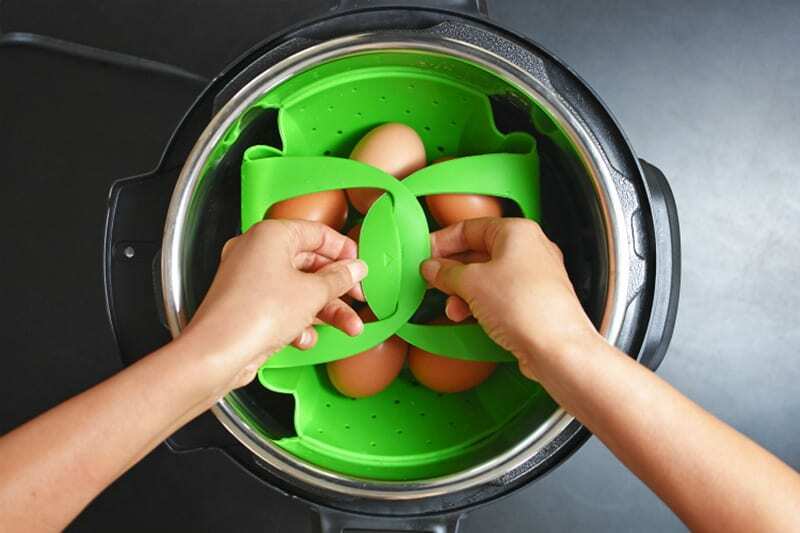 Place the silicone steamer insert inside and carefully arrange your eggs straight from the fridge in a single layer on top. 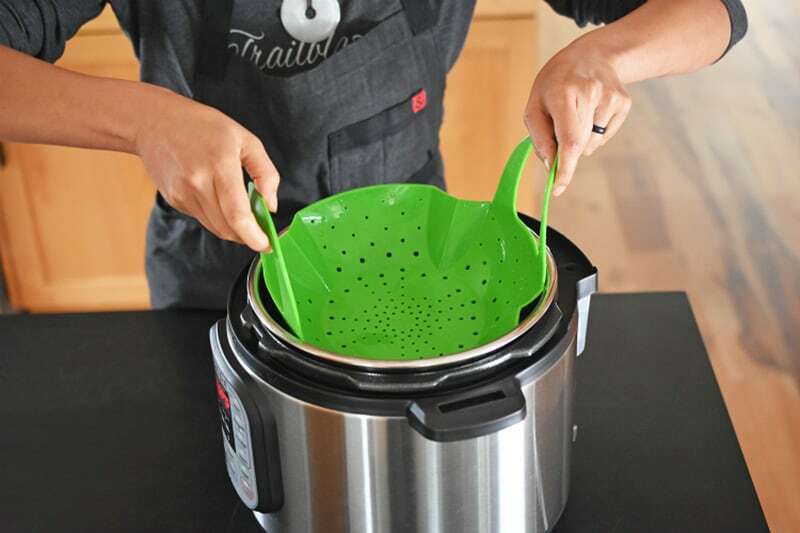 Interlock the handles of the silicone steamer before securing the lid on top.